"I wait for the weekend, relax and play a little Mahjong"
If your mind is set to start learning a game, then the first step would be to reach into finding out its basics if you want to really master the game. The same is with learning how to play Mahjong including also finding out the objectives of the game. In this game its objectives are clearly learned from the very beginning: pairing the matching tiles to be eliminated from the board. 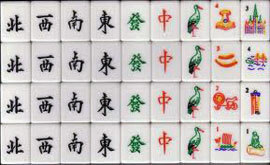 The game comes with various combinations of these tiles which bring also different names to the game, among which Pung, Chow and Kong only to name a few. Pung, for instance, comes with combinations of 3 identical tiles of the same suit, Chow comes with combinations of 3 sequences of tiles that are constituted within the same suit, and Kong comes with combinations of 4 identical tiles. All these combinations should be found within a given time making players sometimes to rush too much with their moves. This is why Mahjong is not at all a simple-to- play game, although it seems this way from a bird's eye view. Another basic of this game goes for the fact that is played in hands - four hands will form a round, and four rounds will make a game. 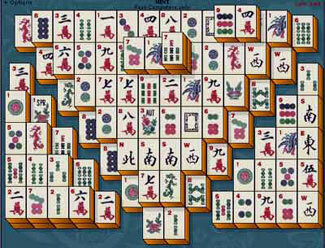 So, if you put it this way, Mahjong is a game of playing 16 hands to which can be added more. Each player will receive 13 tiles dealing for a 14th one. At this point he has two alternatives: either he keeps the tile or simply put it aside considering it useless for making a good combination. To reach to a combination it is required to put the 14th tile and once a hand is completed, then this player is known to have reached Mahjong. He will actually call out this name once the combinations are done letting his opponents know that he has won the game. Further on, the other players left are supposed to continue until they form their own combinations to set their scores as well. As you can see, learning the basics is not such a difficult task, the game itself being quite a pleasure in being played over and over again. There are as well many strategies involved to allow your hands to be completed with the specific combinations. The basics have been actually described in order to show you that playing Mahjong is a fun experience that you can improve by developing a certain technique that works ands then stick to it throughout many other mahjong games that you plan playing in the future. It is true however, that in the past, Mahjong was forbidden because it was played as a gambling game, but nowadays, with the release of online games, Mahjong can be totally comprehended and played on your own allowing you to experience its charm at its fullest.